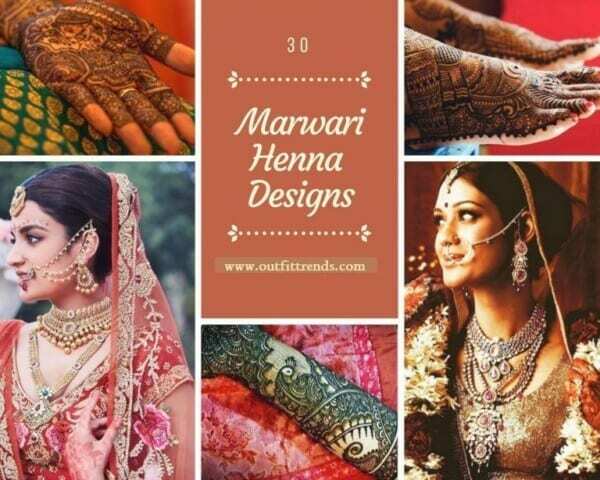 Best Marwari Mehndi Designs – Marwar or Jodhpur Region is a region of Rajasthan state in North Western India. The word comes from the Sanskrit word ‘Maruwat’ which translates to ‘the region of the desert’. Marwari Mehndi or more broadly, Rajasthani or Indian Mehndi is a beautiful form of body art. 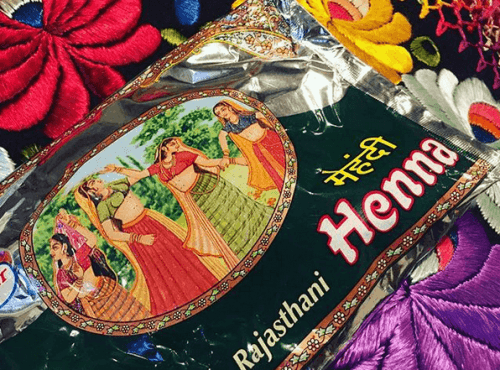 The practice of henna application is an ever-changing trend which while has been seen adopting new and strange practices, retains a lot of the aspects which are quintessentially Indian. In this article, we present to you 30 of the most popularly requested and applied Marwari Henna Designs. From intricately crafted and delicately balanced to loose ones with quick and easy strokes, these designs have it all! The classic full design suited for bridal looks and other formal occasions. This design is all the rage these days. It’s an astonishing feat to accomplish what with the precision and delicate hand required but once pulled off it looks divine. Florals are always a great idea. Roses, sunflowers, tulips, lotuses, they all look amazing. This is the creation of an expert and it is expertly executed. We love how every henna artist brings something new to the table. You might have seen similar designs on the feet of famous actresses in Indian movies. It’s a classic. One of the popular emerging trends you’ll see all across the internet is the stunning figure work. It’s quite extensive as artists have drawn peacocks, skulls, worship idols but this one is the go-to design for weddings. Just that, it is extremely pleasing to look at. A merging of the effective use of negative space and filling. This regal design goes perfectly well for both hands and feet. The twin look is to die for! It’s also suitable for bridal look. Doesn’t it look absolutely magical? It’s how we imagine a spell would look like taking form. It has flowers, swirls, beautiful shading and a half-moon, perfect for a witchy look. It’s quite an attractive, yet unexpected design. And we all like the unexpected. It’s unbelievable how the traditional Indian henna elements can be combined and swapped for new and unusual looks. Take this one for example. We are head over heels in love with this look! It’s so extraordinarily pretty. When the artist knows how to make effective use of spaces and work around those, the results are always stunning. The parts left untouched and those full fit seamlessly into the larger design. The artist (@aza_hennaart on Instagram) claims that she loves doing this kind of designs. And it shows with how striking it looks. Straight out of a fairytale, wouldn’t you say? Quite the sensual look. It’s a mandala with feathers! Or an upside dream-catcher, take your pick. Incredible and mesmerizing, this one is a must-have for both kids and adults! Apart from the bride and groom figures, there’s also birds and cages. Like in this sweet art. It’s a delightful mish mash of various elements such as flowers, mesh, leaves, straight line, circles and the like. The effect is quite pleasing. Don’t be intimidated. It looks intricate and difficult but if you look closely you’ll see that it’s all just a collection of lines and filled in spaces however expertly put together. You can achieve this easily even if you are a novice. It’s such a sassy and saucy piece, accentuated, no doubt, by the red nail paint. The dress up also matters as it helps deciding what exactly your final look will be. A good-sized and beautifully drawn peacock is never a miss! And if you go with a more professionally polished look with thin and perfectly balanced strokes, all the better. Highly recommended. We have been blown away! This is exquisite and jaw-dropping and awe-inspiring and a hundred more things we can’t possibly name. So what are you waiting for? Get your henna cones right now and get started. We are getting the orange-gold-brown autumn leaves feel from this one. The best part, as always, is the fact that it looks doable. It’s basically just a bunch of leaves, easily attainable by a novice. Do give this a try and see! Join your hands together and voila! It’s like making a jigsaw puzzle come together. It’s nice and simple but elaborate all the same. It’s one of those ones that are unlike the rest. The traditional henna art has mostly circular shapes like mandalas or flowers and such. This gives a nice touch because it’s detailed and different. Okay, we have already done a dulha dulhan one at the top of the list but we couldn’t resist sharing this! It’s both figures, on the same palm. Of course you can adapt this to whatever you like with maybe peacocks and the like. There’s something so peaceful and satisfying about this particular design. The henna is incredibly fine, as evident by the strokes and patterns. Gives us the mughal vibes, wouldn’t you say? Another sunburst-esque design but a hundred times upgraded one at that. The stain would look glorious when this is washed off, though we like it just as it is in this picture. Feast your eyes on this excellent piece of craftsmanship. The best designs are the ones who mash things up and take inspiration from everywhere. This is one such piece! We do hope you enjoyed browsing through this list and got motivated! Try out some of these beautiful designs for a full Indian mehndi experience.